Bible prophecy says that bad things are coming. Conspiracy theories found on the Web only confirm this. In light of this warning, what should we do to prepare? Shall we leave the city or even the country? Move to Israel? Stock up on food and water...or even guns and ammo or at least gold & silver? Trust Jesus to protect us wherever we are? Find out the reassuring answer from Bible prophecy on where to put our time and effort to be ready and saved when the end time events come upon us. 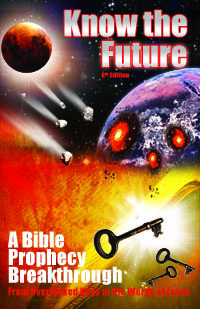 The pursuit of Bible prophecy understanding is definitely not for the faint-hearted. Understanding comes slowly and incompletely at first which, unfortunately, can leave you in the lurch at times with embarrassing or uncomfortable misunderstandings. One particular area of incomplete understanding is on what we are supposed to do today about end times. Once someone comprehends the dire events we are going to have to go through, answering what to do about it becomes urgent to them. Yet progress from that point is very slow. I remember early in my own studies how in the dark I was, as well. With my limited understanding, I was convinced to take some radical measures (that I'll be sharing below) to prepare for end times. Soon after I did, I realized that my thinking leading up to those actions had been mistaken. By correcting that thinking, I later was able to find in the Bible what to do in the end times to prepare. Meanwhile, I continue to get emails and phone calls from people who are where I used to be. They consider adopting the same costly strategies I did that will not save them from the end times. In their defense, I will say that today the world seems even more dangerous and unstable than it did in 1999 when I was at my greatest point of uncertainty. The myriad perceived threats puts more pressure than ever to do something, anything. In this article I'd like to address various approaches for end time preparation that people are commonly driven to try. From over a dozen years' worth of interactions with readers, I have come to recognize several repeating patterns of thought on facing the end times. I've believed most of these ideas myself, in phases, on the way to the truth. Because of that, I know them very well. I can share what I learned that was good from each phase and what I finally saw that forced me to abandon that strategy and move on. Their apathy is understandable given how hard the Bible is to understand and how confusing and divided the teachings based on it are. Because of it they don't bother studying or even reading Bible prophecy. Some even chide those who do as wasting time that would be better spent studying the Gospels and bringing people to Jesus. Probably the most often-cited argument for believing we'll never have to face the Great Tribulation is that God would never “put his bride through such a thing.” Admittedly, the concept of being here for terrible end times events is not pleasant; it's gut-wrenching. Therefore it's quite understandable why most Christians wish to deny it or remain in ignorance about it. "Ignorance is bliss" compared to the cognitive dissonance that hearing the truth brings us. The obvious prescription for the above is to not let such ideas stop you from studying the whole Bible, including the prophetic books, to find out what they really say. Revelation 1:3 (HCSB) — The one who reads this is blessed, and those who hear the words of this prophecy and keep what is written in it are blessed, because the time is near! Now there's a verse you don't hear quoted too often in church! Consistent with this, Bible prophecy teaches that the rapture of the saints comes after the Great Tribulation. Until then, God has a plan to protect his saints here on earth from all threats. Even with protection, it will be scary. I know to most Christians this sounds not only wrong but so horrible that they think "God would never do that to us!" That's what happens when you push verses like Acts 14:22 out of your mind and listen instead to the smooth sayings of popular Christian prophecy teaching. Is it any wonder why God says of this era of the church that we are spiritually wretched, pitiful, poor, blind, and naked (Rev 3:17)? His prescription is to pray for "gold refined in the fire" or in other words, trials (Rev 3:18). In case the pretrib rapture doctrine turns out to be false (just as many Bible teachers before me have warned), wouldn't you want to make sure you are spiritually prepared to go through the Great Tribulation? Continue reading to the end to find out how to do that. Immediately after a Christian realizes that there is no pretrib rapture, they enter this phase. They want to know what God's plan or instructions are in lieu of airlifting us out. Therefore, they seek out understanding of Bible prophecy so they can get some concrete answers. This is a most uncomfortable phase to be in and I still remember what it felt like: high anxiety. It does not help that many Bible prophecy teachers out there who confirm that there is no pretrib rapture have no good answer for what the real escape plan is instead. So you're mostly on your own digging. Many never get out of this phase. Study of Bible prophecy is not easy and requires both time and critical thinking skills that many do not have. It also requires a high degree of Bible literacy. The Book of Revelation comes at the end of the entire book for a reason. You need to read and be familiar with everything else that precedes it to have any hope of penetrating its veil. For those who want to graduate successfully from this phase, I can share from personal experience that the answer is to not give up in the face of adversity but to keep seeking (Mt 7:7). That means prayer, fasting and study in faith that God will lead you to the right answer if you do not give up. Remember, it is to the glory of God to conceal a matter and the glory of kings to investigate it (Pr 25:2). Unlike most of the phases on this list, I never succumbed to this one—although I did consider it. Back in the heyday of Y2K hysteria (1999), my understanding of Bible prophecy was at a kindergarten level. I was still in the phase above of knowing bad things were coming but having no idea what to do about it. So I looked into getting “off the grid” and ready for anything including the breakdown of civilization. To become self-sufficient and not depend on civilization to feed yourself was an appealing concept. At first, survivalism sounds like a very reasonable and responsible approach to the end times. If you don't know that God has a plan to save you or what it is yet, then you “ought to do what you can to prepare," right? After all, "God helps those who helps themselves" (a saying that is not in the Bible, actually). Also, if the end time does not come in your lifetime, you still have valuable skills to call upon whenever you need them in natural disasters, storms, being stranded, shipwrecked, etc. Needless to say, the survivalism trade show sure made me feel overwhelmed and seriously question the concept. I think all I bought there were a few pocket-sized books on edible plants and other survivalism topics that I never read or used. Nevertheless the trade show was not a complete bust. 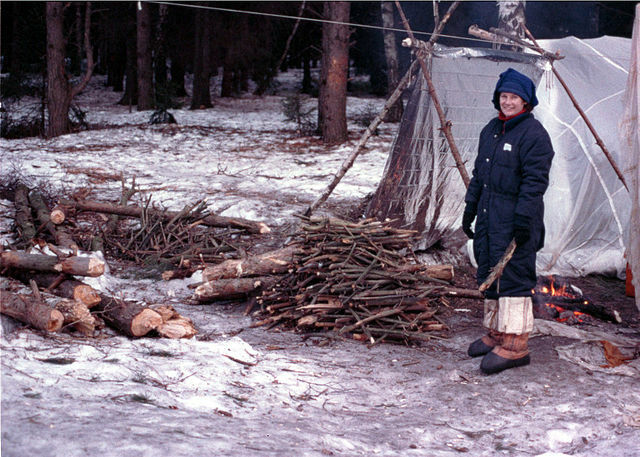 It helped me to realize that self-sufficiency and survivalism were not easy and not for me. The problem is most of us are city-slickers or suburbanites who are not cut out for farming or living out in the woods. It does not make sense that God expects all of us to completely change direction as adults and spend all our time now learning how to be farmers and survivalists while maintaining jobs and families at the same time...all without any explicit confirmation of it. Not everyone can do this on their own and if that's how God saves his people, then most quite frankly are going to be doomed because we are not cut out for that. Later on, when I found God's actual preservation plan for his people in the Bible I realized all the more how stocking up would be a complete waste of money (more on that in part 7). Many become convinced that the answer to the end times dilemma is to “get out of Dodge” or move to a safer place. Among Messianic Christians, a popular destination is Israel. But the main point for many is to just be anywhere but where they are near the city or heavy population. One particular thinking is that if America is Mystery Babylon and it says “come out of her my people” (Rev 18:4) then as soon as you understand that it would be best to get going. That was almost my exact thinking in 1999 when I was in this phase. I've told the story before of how the combination of my small but growing understanding of Bible prophecy and the doomsday rumors of Y2K convinced me that it was a good time to move. I found a prospective employer in Costa Rica over the Internet. The language barrier did not faze me thanks to my years of Spanish in grade school. Thus, I figured it was an open door to relocate there or at least better being safe than sorry. I thought if the Year 2000 computer bug crashed computers everywhere, people in a developing, tropical country would fare better than a highly developed technologically-dependent country like the USA would. So we moved there around June 1, 1999, sight unseen. To this day, I still run into people having the same thinking as I had back then. They ask me about moving to Costa Rica or other places and whether they should do it or not. What do I say to them? I share the realization I made in Costa Rica soon after moving there. I say this all the time: God is not saving only the paranoid, radical, prophecy watchers (like us) who do extreme things 'just-in-case'. There are millions of believers who are too level-headed and busy making a living to pay attention to and act on the latest internet doomsday scenario or other trend. Thus, if God really was warning people through Y2K, 2012 or other doomsday dates spread on the Internet, most people would never believe it or know what to do if they did believe it. The fundamental problem with moving anywhere is that, without God's revelation, we don't know the exact place to move to. Nobody knows for sure where it will be safe from the many things coming. And even if you do, the cost of a big move is not something every servant of God can handle. By the way, the place the Bible reveals as the location God will gather his people is one of the last places people would think was good. More common than the relocation strategy is the strategy of staying put and “stocking up.” This means investing in survival food, water, guns, ammo and/or in gold and silver coins. Regarding gold and silver some say that if we are living in the end times, investing in metals is simply a prudent thing to do. They view it as similar to buying an insurance policy, as precious metals are likely going to keep rising in price. There are serious problems with the strategy of stocking up, problems that are not advertised by those selling goods or often considered by those buying them. If you think the strategy through carefully for yourself, it's not hard to find reasons to reject it. First, consider the record of how past crises have played out. Remember New Orleans after Hurricane Katrina? The roving gangs of looters? Police were overwhelmed and so shopkeepers were left to defend their own stores from looters. Even police officers were looting! Keep in mind that this was just one city that was receiving plenty of outside help from areas untouched by devastation. If our civilization collapses everywhere due to the global end times catastrophes spoken of in Revelation, the situation will be much worse than New Orleans. Nobody will be completely safe. There will be no escaping trouble and no amount of preparation will insure anyone's survival. In desperation most will join looting gangs and attack and steal from those who horded or simply have what they need. If a global disaster hits, you probably will not be able to keep your supplies for long unless you have a personal army and are willing to kill those come against you. In effect, all your prepping will only serve to help the most violent person around. But what about when gold and silver are breaking records? Yes that investment can turn out good, even fantastic, at times. But far from always. It did not work out good for people after Y2K when the speculation-propelled gold price dropped. Precious metals are notorious for their volatility and investors do not normally allocate much of their portfolio to them for this reason. Again, the challenge will be keeping your gold and silver if you are among the few who has the foresight to acquire some. I would love to read that article, Tim. I know that the LORD told me a couple of years ago to start saving food aside for the coming famine in America, but things have gotten so bad this last couple of months that we have had to eat all of our storage supply. I hope I can get it caught back up. This sounds okay until you factor in that survival foods are not as economical as regular foods at the supermarket. The person would have been better off saving the money instead of saving food. This highlights yet another disadvantage of this strategy: if the end of the world does not come as planned, a negative return is to be expected on your investment. After Y2K, many people who bought food stores did the same thing: they simply ate them, albeit amounting to some expensive meals--and lessons. Clearly, they were harmed financially from the unnecessary investments in Y2K prep. Technically, too, it's improper to call these preparations investments. Real investments put your money to work for you and have an anticipation of growth. Thus, putting money into stocking up represents an additional opportunity cost compared to a real investment. These "safe" stored consumables lock up money so that they generate no interest. If they had taken the same money they invested in the food, guns, and ammo into real investments or simply put it in the bank for a rainy day, on most likely they would have done much better in real world conditions. While gold and silver do have potential to grow money, they are hit or miss. People who bought in the times of the last recession (early 2000's) or current recession of the late 2000's will tell you how much money they've made. But if you look at a 20 or 36 year history of gold, you'll see the fluctuations. There are many points, such as the '70s or '80s, where if you had bought gold then you had a long wait to sell it and to make money or not lose money. I used to collect gold and silver coins and I remember the depressed prices of the '80s and '90s well, so I take any apparent boom at the moment with great care. In other words, it's wiser to save or properly invest your money rather than tying it up in assets that won't work for you or are not sure investments and even save you from the end of the world. Note: My comments above are not addressing the wise strategy of stocking up for known local threats such as living in "hurricane alley," "tornado alley," the San Andreas Fault, etc. In those environments and situations, some small affordable prep can help you greatly. I'm saying that trying to scale that concept for a global end time threat in which you must move to be safe is a very bad idea. Most Christians have pastors who believe in a pretrib rapture. Once they realize that their Bible says something different, Christians lose confidence in the teaching of their pastors. But since Bible prophecy research is one of the hardest areas of Scripture, it can be too confusing, frustrating and discouraging for most Christians to handle. Most get nowhere and eventually give up on trying to make sense of it. They therefore look to alternative sources for guidance on the end times. Conspiracies theory news sites are common now and full of new ideas they never heard before that get their attention sooner or later. They teach about the Illuminati, Free Masons, etc. ruling the world in secrecy, and other shocking and scary things. It's like a car accident; gruesome, but hard to not look or not keep reading, as the case may be. The heading name of this section is actually a play off the website called WorldNetDaily.com. WorldNetDaily is one of the favorites for those who think staying current on the latest trends will save them. A good example of the types of stories you'll read there is the recent one on transhumanism. It posits that attempts to upgrade and remove the limits to human capacity is an end time trend that will mature under the Beast of Revelation who makes war against God's people. If scientists are truly creating hybrid human-animals then this indicates the end must be around the corner and we should probably be pay attention to it, right? Certainly this sounds like one of many things going on the world that we should be aware of, even if they are not exactly shown in the Bible. The solution to this thinking came naturally to me. After a few years of reading WND and other more radical sites, I noticed something. Much like the repeated prophecy doomsday or rapture dates you've seen, there was always a new trend alert or crisis coming down the pike. They would predict a dirty nuke or suitcase nuke attack, or imminent war in the Middle East, or the Mark of the Beast (in the Real ID or other new legislation or technology). Like the speculative article on transhumanism mentioned above, these reports certainly did not help me to come any closer to a proper understanding of Bible prophecy. Oh, they quoted a verse or two, like the transhumanism article does. But after careful scrutiny, the Bible support was loose and forced at best. Therefore, I stopped wasting time on such rabbit trails and focused again on finding out what the Bible actually predicts, as hard as it is at first..and second...and third. Like the Bible says, we have a “more sure word of prophecy” (2Pt 1:19). If you really want to know what's coming that's where you go. As has been shown, the preceding end time readiness approaches all have problems. They are all best guesses on what to do for the end times taken after failing to find what God in the Bible says to do. To be very fair, it's not clear at all in Scripture what God's plan is. Not nearly as clear as it is what the coming bad events are that we will be going through. Revelation has chapter after chapter describing these terrors. But there are only a few verses on how we're saved, and they are murky or discouraging at best. For example, the passage many of us latch onto right away is Revelation 7 about the sealing of the 144,000 with protection from the things that follow. We pray and hope we'll be one of them, but we have our doubts. It says they're 12,000 from each of the tribes of the Houses of Israel and Judah. That's disheartening to us Christians because we consider ourselves Gentiles. Nevertheless, I hoped I was descended from one of the “lost sheep of the House of Israel” (Lost Ten Tribes who were scattered and lost their identity), without knowing it or being able to prove it. However, as I learned more about the mission of the 144,000 to preach the three angels' messages of Revelation 14 and thereby fulfill the global end time preaching of the Gospel (Mt 24:14), I realized that the 144,000 number was literal and it was not the plan to save the millions of faithful believers in the world. There had to be another plan for the rest of us: crippled, elderly, children, families, etc. who are not fit to wander around in Beast's kingdom preaching as a witness against him during the Great Tribulation. So I moved on. Next, like some, I read about the Woman in Revelation 12 who instead of having protection wherever she goes like that, is instead brought to a protected place where she is fed for the entire Great Tribulation. Revelation 12:14-17 — 14 The woman was given two wings of a great eagle, so that she could fly from the serpent’s presence to her place in the wilderness, where she was fed for a time, times, and half a time. 15 From his mouth the serpent spewed water like a river flowing after the woman, to sweep her away in a torrent. 16 But the earth helped the woman. The earth opened its mouth and swallowed up the river that the dragon had spewed from his mouth. Sounds good, except that the Woman gives birth to the man-child who is taken up to heaven (Rev 12:5) is a clear reference to Jesus and Israel, who he came out of. Thus, it looked like another Israel-only plan. If you're a Gentile you seem to either be out of luck, or simply not mentioned. Rev 12:17 — So the dragon was furious with the woman and left to wage war against the rest of her offspring—those who keep God’s commands and have the testimony about Jesus. That description of her 144,000 offspring (Rev 12:17 = Rev 14:1, 4-5, 12) gives us some hope. Although the original identification of the Woman in the first part of the chapter clearly points to Ancient Israel and later Israel of Jesus' day, this verse expands it to a certain definition of modern righteous believers: those who obey God and continue in the testimony of Jesus. Could it be that the opportunity of protection is open to anyone who believes and is righteous? In answer to that, I noticed something in the Gospels. Jesus said he was sent only to the “lost sheep of the House of Israel” a couple times, the same group as the twelve tribes of Israel mentioned in association with the 144,000 and the Woman. For that reason, Jesus told his disciples to not preach in other nations, not even the Samaritans among them (Mt 10:5-6; 15:24). As well, Jesus initially rejected the exorcism request of the (non-Israelite) Syrophoenician woman because although she lived in Israel, she was not descended from Israel. Nevertheless, when she persisted in faith Jesus ultimately granted her request (Mt 15:28)! From that episode I could see that there must also be physical salvation for Gentiles in the end times, too. Yes, God offers salvation to the Jew first (Rom 2:9-10) and they have advantage “in every way” (Rom 3:2). However, God is not a respecter of persons or prone to favoritism (Acts 10:34; Gal 3:28). He will include us all in the plan he outlines using Israel if we persist like the Syrophoenician woman. Zephaniah 2:3 — Seek the LORD, all you humble of the earth, who carry out what He commands. Seek righteousness, seek humility; perhaps you will be concealed on the day of the LORD’s anger. These again mention the same theme of salvation to ALL who seek God in righteousness, humility and faith (Joel 2:32). Until the end times events begin, the plan for us is plain and simple. We don't need to move "just in case" ahead of time to our best guess of a safe place. We don't need to waste our money on goods that we can't take with us when God reveals the right place to move to. We don't need to train ourselves in farming and survival skills when we're told we're moving to a place already prepared to feed us. We don't need to waste time researching the latest conspiracy theories which can never reliably predict the future like Bible prophecy can. We don't need to sit unproductively and wait in hope for a pretrib rapture. Go ahead and prepare for predictable, natural disasters based on historic patterns or reliable news just as the wisdom passages of the Bible instruct (Pr 28:19; Pr 21:20; Pr 22:3; 1Ti 5:8; 2Th 3:10). However, doing so based on conspiracy theory or for the global end times cataclysms is another matter entirely. The wisdom from the Bible for the end times is different from normal times. The Bible instructs us that there is a special plan and to be a part of it when the time comes we “stay alert,” in “prayer,” in “obedience” to the will of God in “holy conduct and godliness” (2Pt 3:11). If you need help with specifics on this conduct, see this article about what Jesus taught on how to think and act. If you believe what you wrote, then why are your making money off of Gods people. Susan, I don’t know who you are or what you’re talking about. Hello. Are you aware of the fema camps already being constructed? What do we do in that case if we can not flee? Carrie, FEMA camps are an unconfirmed conspiracy theory (ever been to one or know anyone who has?). As I wrote in a previous article, even if they are real, when God commands us to flee he will make the way of escape. Remember Peter in prison and the angel sent to let him out to do what he was commanded to do, to preach the gospel of the kingdom. Better still: Moses was able to PART THE SEA to make an escape for the Hebrews. There is no doubt this can, and will, be done again for God’s People. Thank you. I know I have to be strong in faith & not deny God regardless of the tests & pain we are put through. I was very scared & confused until I started reading your posts & I feel much better now. I have to follow his commandments to enter his kingdom not just believe in him. Tim, first I want to thank you for your books and all of your hard work. It is very helpful. I have enjoyed reading them. I agree completely that the “Church” will not meet in the air with Jesus, and the martyrs, until after the tribulation has begun. I also agree that God will send a messenger to guide His sheep. Let those that have ears to hear and hear His voice follow His instruction. Having said the above, Jesus and all of the Apostles did warn us to be ready! On the surface, when your faith is not well rooted, we understand this to be that we should accept Jesus’ sacrifice to pay the price that we could not pay. He is God taking responsibility for His creation and paying the price that we could not possibly pay. Just as any good parent of this world would pay for damage that their child had done. We should live our new lives in obedience once we have received His grace. As our relationship grows and we hear from Holy Spirit more often, it is then revealed that there is more to this. Would you agree that God does not want us to “buy or sell” during the reign of the “beast” Rev. 13:17? Jesus starts out Matt 25 talking about the ten virgins in a parable and say “At that time the kingdom of heaven will be like” (the time He has been warning about) You know the story. At midnight they hear the announcement ” Here’s the bridegroom! Come out to meet him!” Jesus had just previously warned that if you hear that He has returned, here or there, not to believe it. EVERY EYE SHALL SEE HIM! However 5 of these virgins (Obviously these virgins are Christians/ believers. There is only one way to be pure right?) However, 5 were not prepared. They did not have the additional oil in their lamps! They asked the others for some of theirs and they were concerned that they would not have enough for their journey, and would not share. The 5 left an bought oil. Then God knew them not! Why? Because they had taken the mark of the name of the beast and they did not follow His instruction. This is the time period to come where your name can be blotted out of the Lambs book of Life. When the 5 virgins hear they were deceived, then out of fear, they went and bought. This all happened because they were not prepared. I am able to share many more scriptures that will support our preparation. I do agree that our preparation should be only what we and our families can carry, but I feel as though to teach that preparation is not necessary, would not be properly applying God’s Word. Do you disagree or agree with this? I mention this only to speak the Truth in Love and discern if you are truly hearing form God. I agree with most of your blog “Six wrong ways to face the end times” However, we have ears to hear, and God has spoken! We are to be ready at every moment. We know the time is near. I thank you again for all that you do and giving me the opportunity to ask you this question. You are loved! Shane, we both agree at being always ready spiritually as Jesus taught. However there is not a single verse teaching “prepping” physically. The Parable of the Ten Virgins is also about always being ready spiritually which the virgins still having oil in their lamp when the wedding began represents. The concluding verse (Mt 25:13) confirms this by saying as other parables that don’t use the oil symbol also conclude: to watch/stay alert rather than become apathetic or complacent about doing what the Lord instructed. Just want to say, Tim, I feel you are right on! I too went through all the same things you did, back through Y2K, getting buckets of food (which I still have some stored away now for at least 17 years) so it’s probably not good any longer! !, and making myself crazy worrying about everything. I know you are right that if we are the only family that stored food in our neighborhood and everyone is starving, I know we wouldn’t have the food for very long!! But I do feel that if I trust God, he could make the food last longer. So you can see that I try to think all this through and you are right, it takes its toll on me!! I need to remind myself that God says “Let your gentleness be obvious to everyone. The Lord is near. Be anxious for nothing, but in everything, by prayer and petition, with thanksgiving, present your requests to God. And the “PEACE” of God, which surpasses all understanding, will guard your hearts and your minds in Christ Jesus.” So that’s what my husband and I are now doing. We are reading a chapter or so from the bible almost daily and we are praying! We’ve had some serious things to pray about in regards to our family and our grown boys, and we can see God moving where things looked mighty bleak! It may not all get solved exactly the way I want it to, or as quickly as we’d like, but God is the one who knows what it takes to turn our loved ones around!! And it now is turning around for good and we are blown away! I want to enjoy my life, my family and friends! God is in charge and I’m learning to give it all to Him! It sure took me long enough!! 🙂 God bless you and your family, Tim! I love reading your emails and I thank you for caring enough about us. Here’s another good verse that would help us through difficult times…. “Now to Him who is able to do exceedingly abundantly above all that we ask or think, according to the power that works in us..” (Ephesians 3:20 KJV) The word of God is life, spirit, truth, power and powerful. The bible declares it is sharper than any two edged sword!! The more we can put our trust in Him, the more at peace we will be with all life sends our way. May God bless us as we turn to Him in every situation! Thank you Tim for your emails and teachings. May the Lord keep guiding and blessing you. It’s interesting to note that the last days would be marked by “scoffing” 2 Peter 3:3 and men would be ‘lovers’ of themselves. The further we get from the year 2000, more and more unbelievers feel confident that there will be no ‘second coming’ and no ‘judgment’. Of course they ‘deliberately’ forget that a day could be 1000 years for the Lord, and mistake patience for weakness. 2Peter 3:3-8. One of my favorite verses is Luke 12:32 and Matthew 6;26. God makes sure the birds are fed and He certainly will let us know when that “time” comes, just like the early Christians in Jerusalem had to flee in 70AD from Roman armies. A good lesson of ‘faith without works is dead’ James 2:17. In this case, literally. Marlen, there is no “seven year peace treaty” in Bible prophecy. Irvin Baxter has the rapture and America in prophecy right, so he’s one of the better ones out there. My apologies if you’ve touched on this previously but I get confused when I hear so much talk about an end times revival. Is there any biblical basis for this? I grew up being taught that there would be a falling away before Jesus returned based on 2Thessalonians chapter 2. Your thoughts please. Nikki, Paul in 2Th 2:3 speaks of the falling away/apostasy that the Antichrist causes on humanity by his strong delusion on the world that he is God. They are starving after Wormwood and mostly go for it. However, before that there is a great move of repentance worldwide when Elijah comes (Mal 4:5-6=Mt 24:14), not a “Christian revival” since those never result in biblical repentance, just more Christians who believe but do not do what Jesus said (Lk 6:46). For more on the Good News of the Kingdom revival of Mt 24:14 see my in depth supporter study. I think you make valid points; we shouldn’t be anxious or become hoarders of things, money, food etc. and also be prepared at some level for normal disasters. Because as a Father I wouldn’t want to be looking at my family in the wilderness or where ever without having had some kind of plan to provide for them. So, it is very prudent and wise to put together a plan. To put some kind of emergency plan together that includes food, water, money, sleeping accommodations (such as a tent, sleeping bags etc) rendezvous points in case phones and electricity are not available and security. I’m not gonna be that guy left looking stupid God willing when that day comes if we’re still here. It’s better to have a plan and some level of preparedness than nothing at all. That’s wisdom. Put together a plan – Sit with your family and talk to them about the plan and then get to executing the plans; discuss together so everyone knows what to do when and if anything goes down. I’m proud to say that we have some level of preparation which is more than I can say about most people and families I talk to. GET A PLAN. We would be foolish not to have a plan for the survival of us, our families, and even other Christians (whom we say we love). Jesus warned us of the times to come. He said that those in Judea (the household of faith) must flee to the mountains. Why? To survive, of course. How long? From the time the anti-Christ steps into the holy place until Jesus’ return (3.5 years). How do I know? Definitely not because I am smart like so many others who use their logic, but because God told me. Dr Jacqueline, it’s also foolish to think we can plan for our family survival in the face of unpredictable, global cataclysms that end time prophecy describes (WW3 + Wormwood). God will literally call us to Judea so the only plan we need is to be willing to leave home for a meager Judean settlement when things look perfectly fine when the call comes (Rev 18:4=Joel 2:32 – “whom the LORD calls”). What are you going to be doing on that settlement? Santi, my article and my dream reveals much of what we’ll be doing in the Place Prepared (Rev 12:14). Sick of ppl claiming when Jesus is coming back. Jesus said no one knows when he is returning. So no one has the right to say pre trib, or mid trib. Only the father knows. Wendy, Jesus never said no one would “ever” know. That would contradict Daniel on the 1290 days.